If John Travolta ever has to say Wolf Blitzer's name in front of an audience, you might hear something like "Will Butter," according to Slate.com's "Travolta-fier" name generator. After the actor severely mispronounced "Idina Menzel" when presenting the singer/actress at Sunday's Oscars ceremony - he called her Adele Dazeem for some reason - he unwittingly started an addictive new meme. 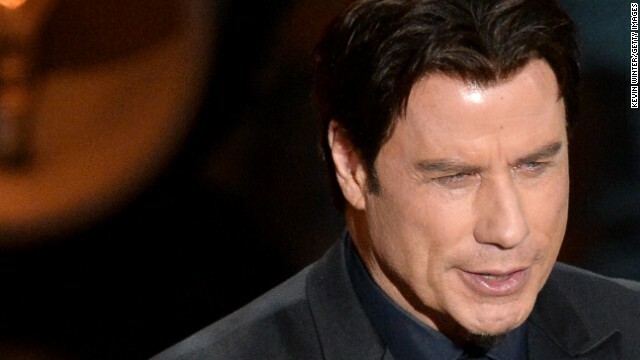 Now you, too, can figure out what your name would sound like coming from Travolta's lips. It's unclear why Travolta had such a massive slip of the tongue while presenting Menzel for her performance of "Let It Go," but it was without a doubt one of the most talked-about moments of the night. E! 's chatted with sources who believe the star was a victim of stage fright, but if we were Travolta, we'd quickly try to find a way to make that fumble work in our favor. Like, perhaps, taking Slate's name generator to heart. The next time Travolta sees Anderson Cooper, he should totally call him "Alasdair Crarter."